Many recent microbe.net post links to “blog of the day” provide diverse, interesting reading related to microbial ecology. 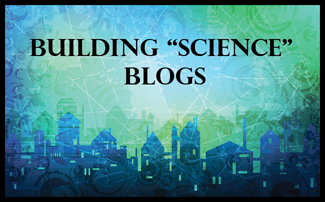 To identify some worthwhile “building science” blogs, we contacted some of the most knowledgeable building scientists we know. The results suggest some observations comparing building science and microbial ecology. Both domains (“fields,” “disciplines”) are highly diversified, ranging from basic research-methods-development to findings, recommendations, and speculation on the “best” way to do things. Building “science” web sites seem to be more applied in their scope, mostly with advice or solutions to the challenges of creating good indoor environmental quality or buildings with less harmful environmental impacts. Most of the suggestions for building science blogs led to web sites that provide advice on “how to” create “green” or “sustainable” buildings. Among the best or most credible sites we found are the Whole Building Design Guide and the GSA Sustainable Facilities Tool. BuildingGreen Inc. has been providing useful advice to the building community for about 20 years and has a close link to the U.S. Green Building Council, (source of the LEED rating systems) since its emergence in the late 1990s. and the Building Ecology web site with a wealth of resources and links for indoor air quality (IAQ) and sustainability. We conclude that emergence of microbial ecology is considerably more scientific in its orientation, based on genetic information in samples. It is built on the long, historical evolution of the fields of microbiology and the more recent emergence of genetic sequencing as a research tool. In contrast, building science is a broad and ambiguous label used variously to describe activities ranging from highly-focused material science studies using the most advanced microscopy or chemical tools while at the other end of the range are studies applied to determining the causes of building failures ranging from structural collapse to indoor pollution. The link between microbial ecology and building science has taken advantage of indoor environmental research into microbial occurrence and impacts including growth on various material surfaces or in dust to epidemiology studies of health effects associated with exposure to specific organisms or dampness. The linking of microbial ecology and building science in the Sloan Foundation’s Microbial Ecology of the Built Environment Program has accelerated the recognition by microbial ecologists that the conditions in the built environment may strongly affect the microbial communities found and their evolution and their impacts on building occupants as well as the building fabric itself.